JUNCTION, TX -- If you are needing assistance due to the flooding in Junction you may contact the Red Cross at 1-800-RedCross. The Red Cross is also looking to recruit new volunteers so if you'd like to volunteer you may go to redcross.org or contact the Hill Country Chapter at 830-257-4677. Donations are welcome and you may donate online. Three males and one female are still missing. Names are not being released. Still an active search and rescue mission. Helicopter operations halted due to the weather. Swift water boats currently patrolling downstream of the RV park to the Mason County line (approximately 35 miles) and back, searching for the four missing. Experiencing a break in bad weather and another rise is not currently forecasted. A Texas Parks and Wildlife unmanned drone is en route and will be used to search the river and its banks. 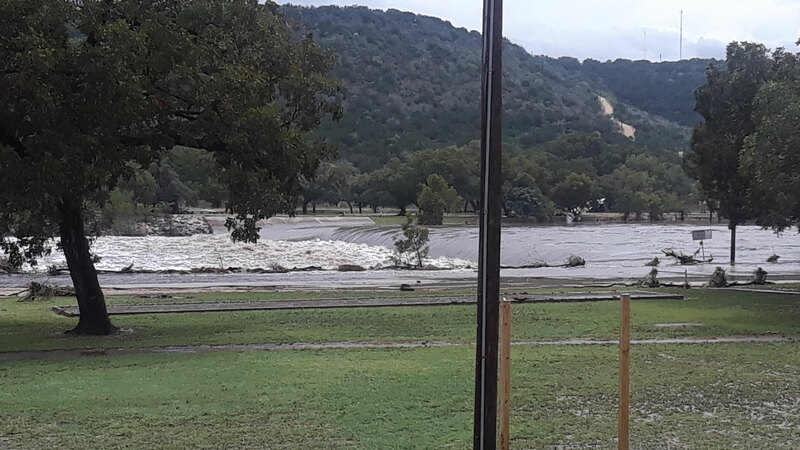 On October 8, 2018, fast rising water from the South Llano River caused flooding along the banks near Junction, TX. Local resources responded to a flooded RV park, evacuating 45 people and rescuing 19 from the flood waters. Additional rainfall overnight has caused the river level to rise again this morning. The primary mission for today continues to be Search and Rescue as four individuals are still missing. Additional boat teams have been brought in to assist with Search and Rescue efforts. Operations will continue to monitor rising water conditions. As weather conditions become more favorable this afternoon, helicopters will continue to patrol the river. A Temporary Flight Restriction is in place over the area until further notice. Agencies assisting in the operation today include: Texas Department of Public Safety, TMI Solutions, U.S. Border Patrol, Texas Department of Transportation, Texas Division of Emergency Management, Texas Parks and Wildlife, Texas A&M Forest Service, Texas Search and Rescue, Eldorado VFD, London VFD, Junction VFD and Kimble County Sheriff Office.